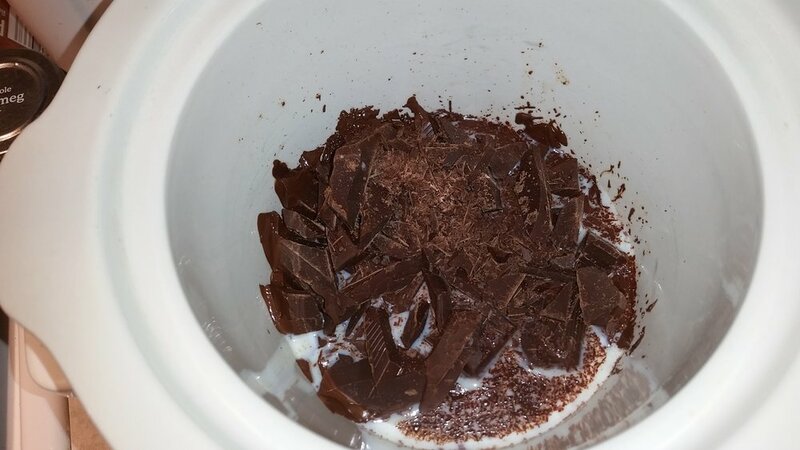 Bracing for another snowy blast here in NYC as winter gets its last licks in, I'm breaking out the mini crock pot for a small, but indulgent pleasure tonight: slow simmered, super rich crock pot hot cocoa. I'm cocoa-ing for 2, but you can double or triple this recipe to for a whole crowd! 2. 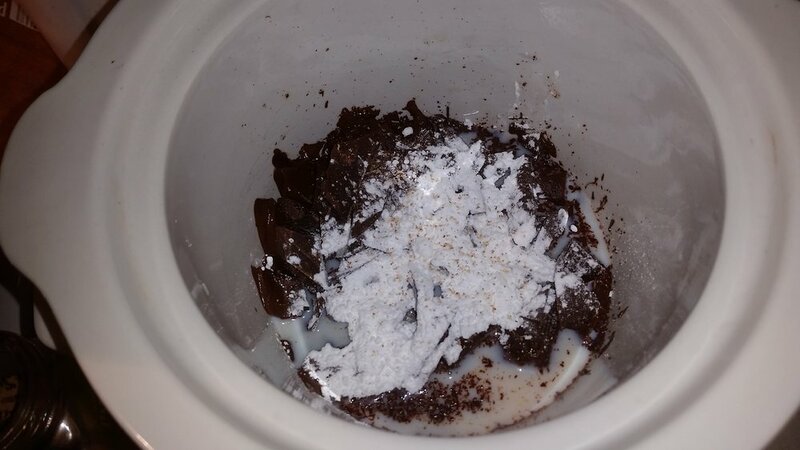 Add your chopped chocolate, powdered sugar, espresso and nutmeg (or any other spices!) 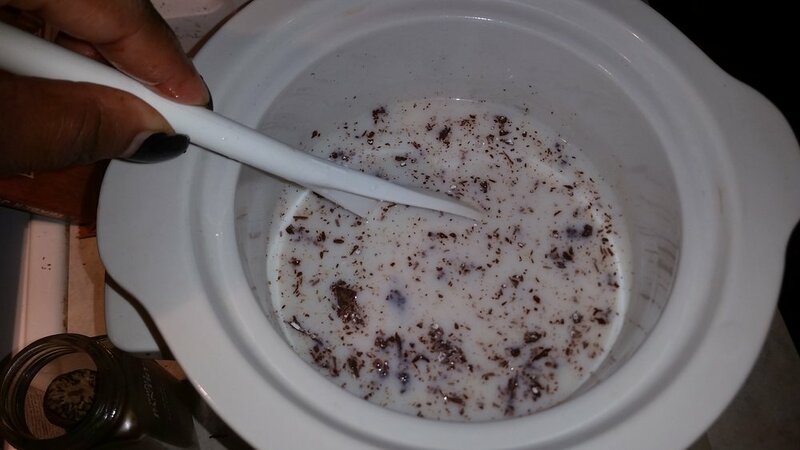 to the crock pot and pour in your milk. 3. Leave the crock to do the work while you shovel snow, take a nap, take a bath, read a book, or any other wintry afternoon activity you find relaxing. 4. 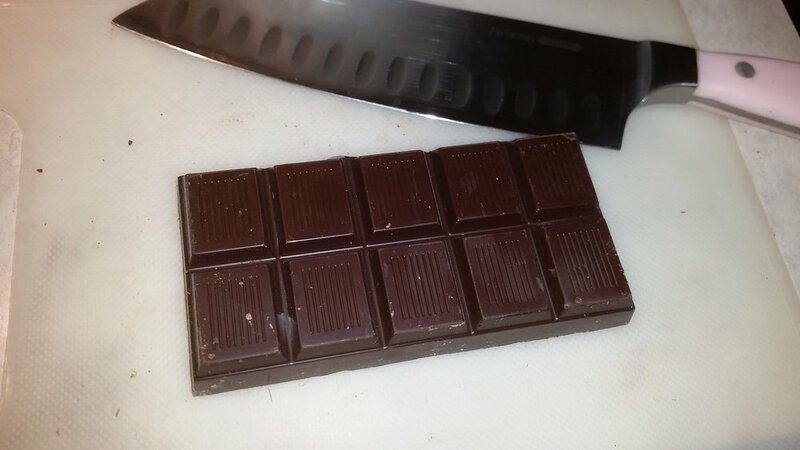 In 2-3 hours, give your super rich cocoa a swirl, and if all is melted, smooth and silky, ladle into mugs, sit back, sip slowly and savor. I'm feeling super fancy today, so I went with these sweet little teacups. Cheers!